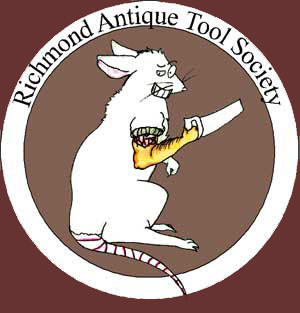 Membership in RATS costs only $10.00 per year and includes attendance and participation in all RATS meetings, auctions and the Winter Gathering, as well as receipt of all RATS newsletters. Your membership dues help cover the cost of our meeting space rentals, refreshments and snacks at all meetings, the cost of printing and mailing newsletters, the web hosting fees for the RATS website, and other ancillary costs associated with advertising and operating the club. All RATS memberships are on a calendar year basis. If you join RATS after July 1, your dues will be applied towards the remained of the year and the next calendar year and you will be considered paid for that 18 month period. NOTE: Your membership in RATS will not be active until your payment of $10 is received and cleared. Please bring payments to meetings. Please enter the name of the RATS member who referred you, or if no RATS member referred you, please indicate how you learned of RATS. Type the following characters as a security check.